The Gulf and Kuwait Medal recognizes the participation of CF members deployed or in direct support of the operations against Iraq during the Gulf war. The medal is awarded to those employed during the build up of troops before the beginning of hostilities, and a bar is awarded for those deployed during the actual war. 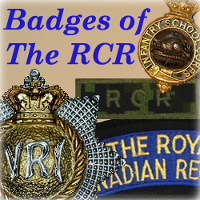 On 9 January 1991 Charles Company, 1 RCR received its Warning Order to proceed to the Persian Gulf; its mission: to protect, assist, and defend 1 Canadian Field Hospital under tactical control of the British. We began our pre-deployment training immediately, concentrating on NBC refresher training, Iraqi AFV recognition, and personal weapons training. We also spent much of our time developing SOPs for what would later turn out to be our main task; the searching, processing and escorting of enemy prisoners of war, both wounded and fit. After weeks of speculation about our departure dates and exact destination, our main party departed on 19 February 1991. Leaving London at about midnight, we flew from Trenton at 0600 hours the next morning. After stops in Lahr, Germany and Akrotiri, Cyprus, we arrived in Al Jabail, Saudi Arabia at 1300 hours on the 21st. The operational nature of this tasking was immediately apparent. Roadblock sentries thoroughly checked all vehicles inside and out. Armed escorts were required whenever vehicles or individuals exited secure areas and our NBC suits were carried everywhere. Our introductory briefing by a Colour-Sergeant of the Scots Guards confirmed the mood that was sensed by we new arrivals. "Terrorist threat is high ...you will always be armed or escorted when outside the compound. NBC threat is high ...AI Jabail is a targeted area and has received three SCUD missile attacks in the last 24 hours... ." Overhead, the roars and the vapour trails of allied aircraft sorties brought the message home; we were no longer on exercise or watching the news on television, we were at war. We received our Saudi Arabian money, a few more inoculations, a bottle of drinking water, and boarded the buses that would take us to Camp Halla on the outskirts of the city, where our advance party and Grizzlies were waiting. We spent the next two days making our final preparations. Vehicles were sandbagged to protect against landmines, our final ammunition allotment was distributed, defensive stores were issued to the platoons and all kit required for our initial deployment to the desert was issued. What little sleep we got was disturbed by two SCUD attacks. Wailing air raid sirens from the city twice sent us scurrying into TOPP High NBC state. Upon conf1rlnation that the missiles were either shot down by the nearby Patriot Anti-Missile Batteries, had missed their target, or were verified as containing only conventional warheads, we could finally shed our stifling suits and crawl back into bed. After two days in the country, we deployed forward into the desert 30 km south of the Saudi/Kuwaiti border where we linked up with the Forward Surgical Units of 1 Canadian Field Hospital in location with the British 32nd Field Hospital. Upon our arrival, the company immediately assumed its security tasks, establishing perimeter patrols, gate guards and roving pickets while assisting in the set up of the rest of the Canadian hospital. Less than 18 hours later, the hospital began receiving its first casualties from the front. From that time, the distant thumping of helicopter blades signaled the beginning of our primary task: the handling, searching, and escorting of Iraqi wounded and prisoners of war and stretcher-bearing allied and enemy casualties. Their condition ranged from simple dehydration to the most terrible head wounds and loss of limbs. While the memory of what they saw, smelled and felt will not soon be forgotten, all men of the Company carried out their duties in the highest tradition of The Regiment. It was, in fact, The Regiment that contributed to the outstanding performance of our troops. While the rest of the hospital wore Tilly hats and the generic "Canada" shoulder titles, Charles Company continued to wear the beret and Eight-Pointed Star. Troops did their best simply out of pride of being Royal Canadians. The most memorable event for many was the period spent assisting the British Prisoner of War Camp a few kilometers from the hospital. The facility held over 6,000 Iraqi prisoners and was being operated by three very tired and under-strength British infantry platoons. In the three days that the company was there, we processed in excess of 2,000 Iraqi prisoners. They would arrive in groups of 60 by helicopter, usually a Chinook, after which they would be herded into a holding pen prior to being searched, examined by a medical team and documented. Most of them were undernourished, dehydrated and very demoralized. Many had no socks or shoes. All wore a look of total defeat that was more disturbing that even the most menacing growl. Due to the sheer volume of prisoners arriving and the severe backlog of unsearched Iraqis, many of our prisoner-handling SOPs had to be modified. The NBC threat dictated that their hands could not be bound. In addition, because of the volume of prisoners involved and the need to rapidly move large groups of them at once, blindfolds would have been impractical. Commands were limited to hand signals, not only because of the language barrier, but silence on the part of our soldiers kept them calm and was unsettling for the prisoners leading to easier handling of them. Our system was so efficient, in fact, that when the British resumed their duties, they adopted the Charles Company search and handling techniques. The desert environment posed serious operational challenges, especially in the area of vehicle and weapons maintenance. Sand and grit blocked air filters, dirty fuel clogged fuel lines and weapons had to be dusted regularly. These problems were overcome through more frequent maintenance inspections and required greater than twice the normal maintenance time. Moreover, dedicated maintenance teams had to prudently abide by maintenance scheduling to ensure the efficient operation of all equipment. After the cease-fire was declared, the flow of casualties decreased sufficiently to allow the redeployment of the Canadian hospital back to AI Jabail where we awaited orders for repatriation or our next task. The decision was finally made to send us home and we flew back on 20 March, landing in Ottawa to an official welcome from the CDS, the Minister and assorted dignitaries. 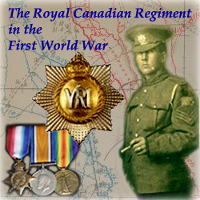 Charles Company is proud to have served Canada and The Regiment in The Gulf.